Founder of the Cairns Australian Football League in August 1955, Kevin turned up to an Australian Football trial at the North Cairns Reserves in July after his wife Norma encouraged him to go and see what it was all about. However Kevin wasn’t aware that Norma had packed his Rugby jumper and football boots in the car. The organizers of the football trial, frank Vains and Bruce Muirden, wondered who was cheeky enough to turn up in a Rugby jumper and kicked the ball to him. Kevin returned a perfect kick and his love of the game was renewed… the rest is history. The Best & Fairest medal started as the Webb Medal in 1956. Kevin Crathern won the first medal in 1956 and when he won the medal again in 1958 he was embarrassed and told the umpires not to vote for him again. In 1969, the Webb family made the decision not to donate the medal any longer. In 1970, Kevin Crathern as President of the League, offered to donate the medal at the League committee meeting. As Kevin was the first winner of the medal, and the President of the League (a position he held for 18 years) his offer was accepted. 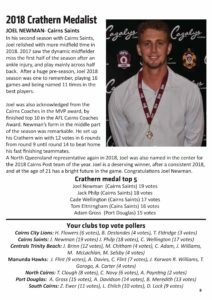 From this day the CAFL League Best & Fairest medal has been called the “Crathern Medal”. Kevin proudly presented the medal each year. Even in the latter years, when his health wouldn’t allow him to be able to make a speech, he enjoyed his role as the “Father of Aussie Rules” in Cairns and was honored to be able to present the medal to the young players who had excelled at the game he loved. 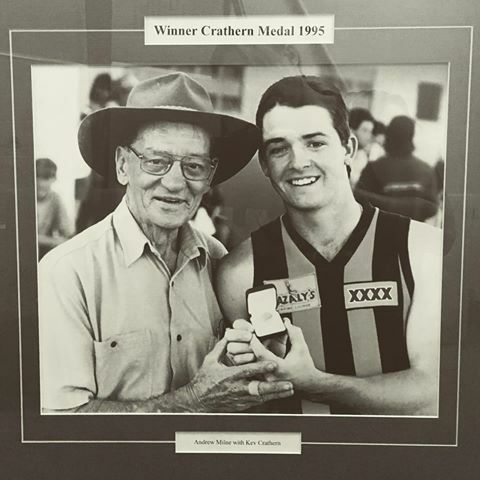 In September 2001 Kevin presented the Crathern Medal to Leigh Treharne. This was to be the last time Kevin personally bestowed the award as he passed away in December of that year. 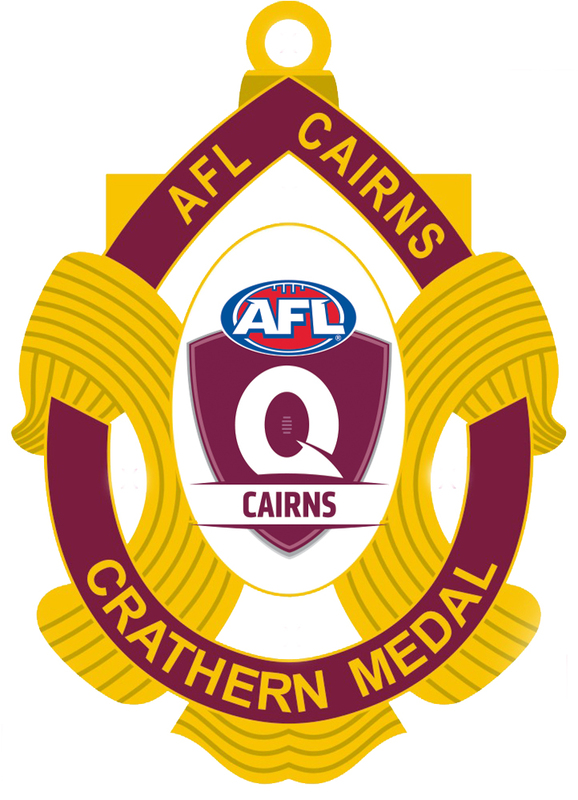 The CAFL Best & Fairest Medal was initially the Webb Medal named after Fred or Horrie Webb from the Cairns Ice Works. It became known as the Crathern Medal in 1973.